Ezra Shales presided over a look at the critical discourse in ceramics. He asked Garth Clark, Jenni Sorkin, and Glenn Brown to talk about their picks of key texts in 20th-century criticism. There seems to be a lot of talk (maybe here specifically in advance of NCECA's planned Critical Santa Fe conference planned of this fall) about the absence, need, etc. for a discourse of one's own, to rise up and, as per Ezra's first slide: "Stop wallowing in cultural amnesia, solipsistic rants, medium-based inferiority and love the bomb"
I'm not sure the bomb had as much bang as we'd all have liked. Garth's paper, carefully read by Ezra--Garth is sadly attending to a medical emergency and could not attend--was a billet-doux to Philip Rawson's Ceramics that evoked the rich language--"kinetic traces", "silhouette", "linear articulation", and those great black on white taxonomic charts of shapes, lip and foot designs. Jenni Sorkin, a PhD candidate at Yale, talked about MC Richard's Centering (1964), in print for almost 50 years. While considered as irrelevant by today's ceramic students, Sorkin drew some provocative parallels between Marshall McCluhan work on media and MC, and argued for MC's relevance as a model for "thinking through" (I might say continuously evolving and reflecting on that evolution) as a creative project). Glen Brown chose Rose Slivka's well known 1961 article in Craft Horizons "The New Ceramic Presence" that identified Voulkos & co's abstract expressionism. I had the impression that Glen somehow believes that if Slivka had just carried the clay ball all the way into the end zone of real art eschewing her more inclusive footnote about the value of the old ceramic presence we'd all be driving better cars now. For me the notion that one writer's characterization (in Craft Horizon no less) could be so determining seems a stretch. 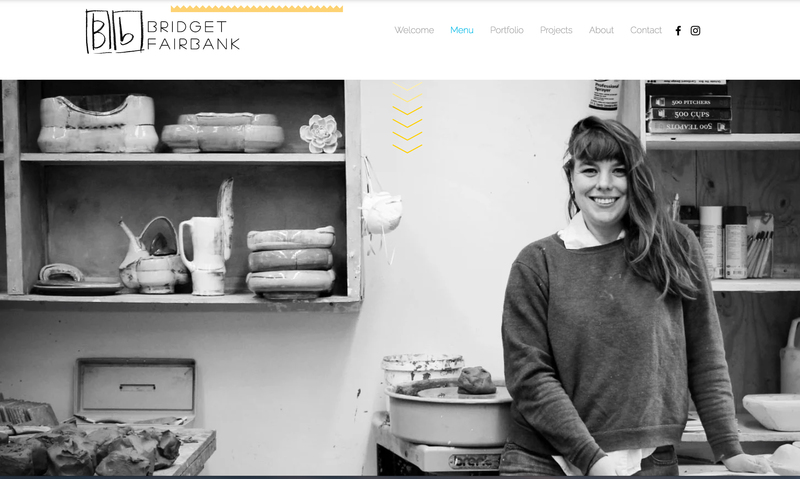 Next: Glen Adamson: Studio Ceramics, R.I.P???? 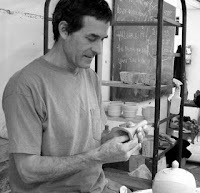 Mark Shapiro is a potter, workshop leader, and occasional curator from Worthington, MA. Mark is reporting from the 2010 NCECA conference in Philadelphia this week and will join the Sawdust & Dirt bloggers thereafter. 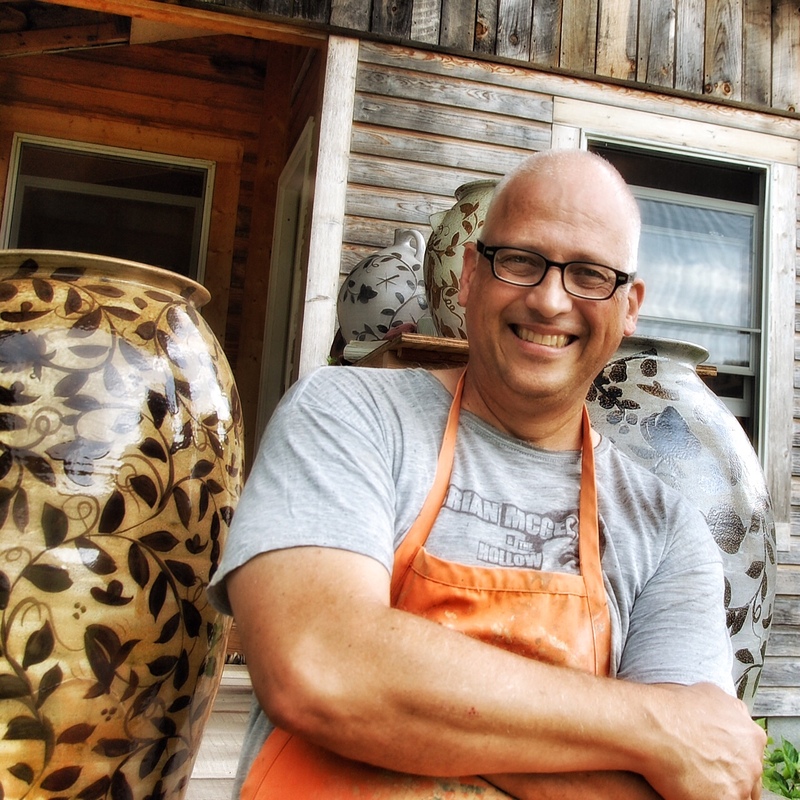 Mark Shapiro has made wood fired functional pots in Western Massachusetts for the past twenty years. He is a frequent workshop leader and panelist. Mark's pots can be seen in the permanent collections of the Smithsonian Institution, the Racine Art Museum, the Mint Museum (NC), the International Mueseum of Ceramics at Alfred,NY, and the Currier Museum (NH).